Do you realize that nested based cabinet technology was first developed thirty years ago? It’s called a “cut center” and it’s really different. 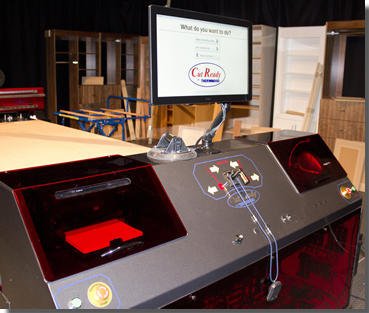 It makes virtually everything a cabinet shop needs, but there is no programming. That’s right, no computer, no software and no programming…none….EVER !